The #BringBackOurGirls group has raised the alarm over new methods employed by the Boko Haram sect in carrying out their activities and urged citizens to watch out for these methods. Speaking at the group’s sit-out yesterday, a member of the group, Shehu Abubakar explained that the disturbing issue in the latest attacks is that the insurgents succeed in luring people and then attack. The group further called on the world to unify in tackling insurgency and terrorism as no nation is capable of defeating terrorism alone. “The insurgency is everywhere bringing in new ways of attacking people. No nation can fight insurgency alone. It is a global phenomenon. The world needs to come together to fight insurgency. We all need to come together to confront the monster or they will continue to kill and maim people. “The people should be sensitised. There are security tips which should be passed across to people especially in the Northeast. There should be basic security tips for people in the communities so that we will be able to prevent having lots of casualties,” he noted. Speaking further he commended the military for its effort in averting what would have been another attack in Maiduguri when the Boko Haram attempted to attack recently. “I am happy to hear that another attack has been averted. We hope that it will continue that way. We also heard that some people were rescued. 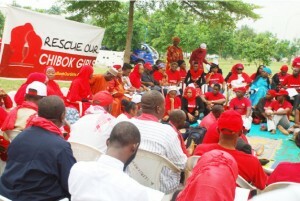 We are hoping that the Chibok girls will be rescued soon,” he said.